Ha! I was right! I do have one more. Maybe even another before the end of the night but if I stop with this one, I think I'm doing good. I'm shooting for 31 posts for Halloween and not 31 days of Halloween at this point. ;) Ha! So, I'm a collector... bet your shocked huh?!? I'm a collector of House Mouse stamps! I've got to have easily a little over 30 stamps. I know that doesn't sound like a lot... but it does for me. I received a couple from a friend not too long ago. She'd "outgrown" them and I didn't have the ones she didn't want anymore and she gave these to me. Then she makes the absurd statement that she couldn't wait to see what I made with them! Ha! I set her straight! I told her I wanted them for my COLLECTION! ;) I love these images and I kid you not, before today, I really only have them displayed on some shelves because they are just so pretty to look at. I've written before that since my little episode of August 18, 2011, I am determined to use ALL my crafting things. So I've baptized one of my House Mouse stamps. What fun I had with it too! I'll show you! I just LOVE how it came out! I colored the image with Copic markers. All the supplies are from my long hoarded stash. I'm submitting this card to the House Mouse and Friends Monday Challenge (HMFMC) #155 - "Hey Pumpkin" challenge. Boy, that was a mouthful. I've got my badge displayed here and I am a follower. Have been for a wicked long time but really you'd have to call it more of a stalker. ;) The stamp I've used is Bewitching Pumpkins. Thank you so much for stopping by today for the FOURTH time! :) I do appreciate it very much! Beautiful coloring on this large stamp! 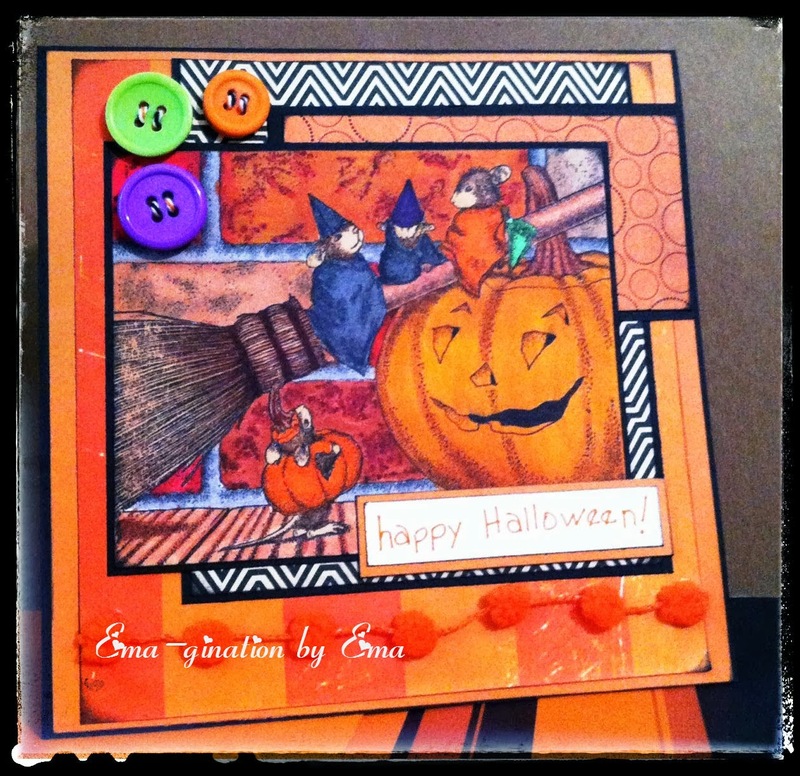 Such a cute scene.A birght and fun Halloween card, love the buttons too. Thanks for sharing this fun creation with us at House Mouse and Friends Monday Pumpkin Challenge! Really-how could you ever outgrow a HM stamp...oh my my...they are my little babies! I do not have a clue how many stamps I have anymore! Love your vivid coloring-it really brought this image to life! Great layout! This is a fabulous card, such a fun image and lovely rich colours. Thank you for joining us at House Mouse & Friends Monday challenge. 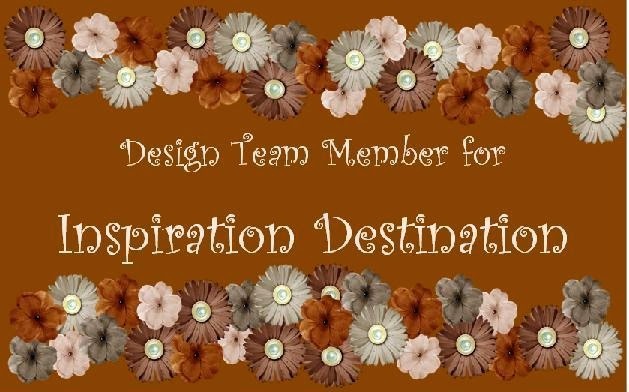 Gorgeous creation, thanks for joining House Mouse & Friends Monday challenge, good luck.